water, 10% strong coffee infusion (water, coffee), sugar, lemon juice concentrate, carbon dioxide, caramel sugar syrup, acidifier citric acid, natural citrus flavouring with other natural flavourings, anti-oxidant ascorbic acid, flavouring caffeine, stabiliser locust bean gum, flavouring quinine. Energy: 142 (33 kcal) | Carbohydrates: 8g | of which sugars: 7,9g | Contains negligible amounts of fat, saturated fatty acids and protein. It’s flavourful, stimulating and intense in taste: cold brew is the coffee drink you need to try. But make no mistake – cold brew is way more than just the sum of its parts. To create it, we spent hours carefully extracting the fine, yet full flavour out of our Latin American 100% Arabica beans using cold water. That’s how a well-made cold brew acquires its elegant, subtle acidity and unobtrusive bitterness. So is that all there is to this story? Of course not! 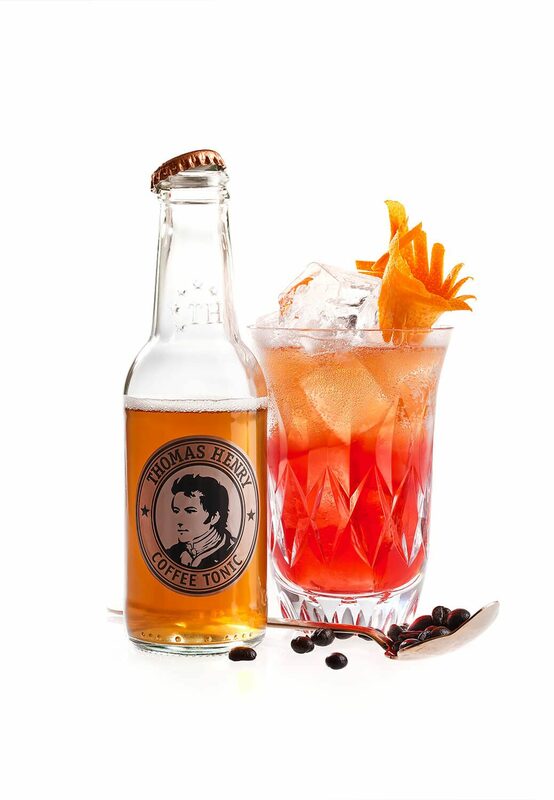 As a matter of fact, cold brew has proven itself an excellent partner in crime to our popular Tonic Water. 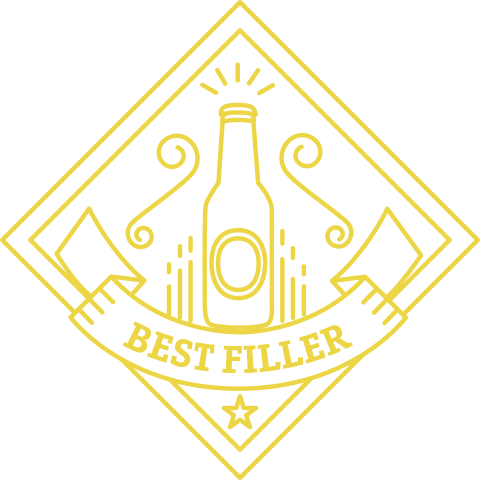 These two headstrong ingredients make for harmonious yet independent flavours in one bottle. 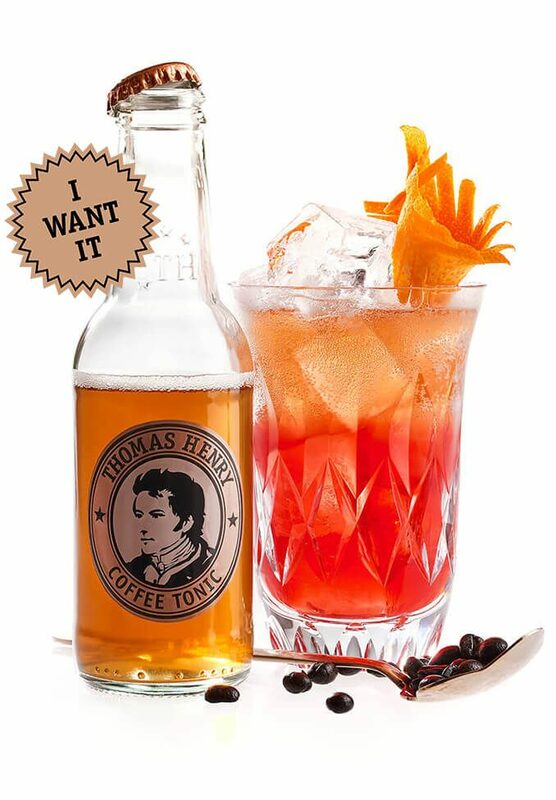 We’re proud to present the result: Thomas Henry Coffee Tonic. 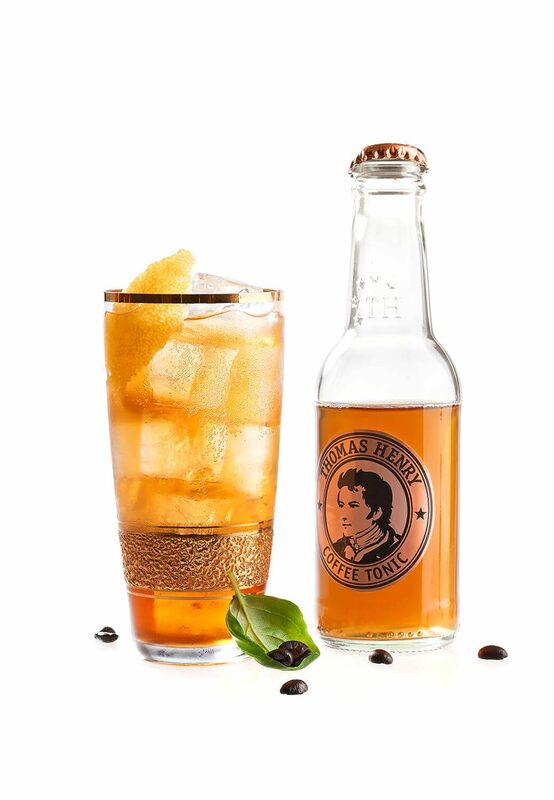 Our coffee tonic tastes great on ice and fits perfectly with spirits like rum or liquors containing bitter or herbal notes. It is intense, powerful, and tangy. Well, let’s start with what it isn’t – cold coffee. Cold brew is a coffee specialty like espresso or Latte Macchiatto, and many of the best baristas are currently working with it. Cold brew is not processed hot, but instead brewed for many hours at room temperature. While the term cold brew coffee might sound a little strange, the result is all the more impressive: Think light acidity, wholesome flavour, gentle bitterness, and invigorating caffeine. How is Cold Brew Made? Time is of the essence here – meaning lots of it! To make cold brew, cold water and coarsely ground coffee are placed into a container. Left soaking overnight, the water extracts the coffee’s full flavour. After that, the mixture is filtered through a strainer, resulting in a strong, flavourful cold brew. Serve it with a few ice cubes in a glass and you’ll have yourself a cool alternative to your run-of-the-mill hot bev. 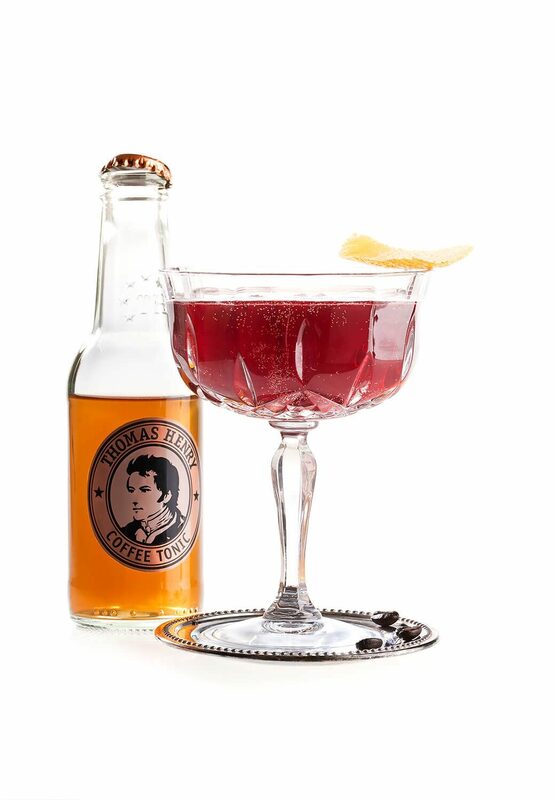 Why are Cold Brew and Tonic Water such a good fit? …was what we kept asking ourselves while testing this mix with bartenders across Berlin. We just couldn’t believe how well these two drinks were jibing with each other. 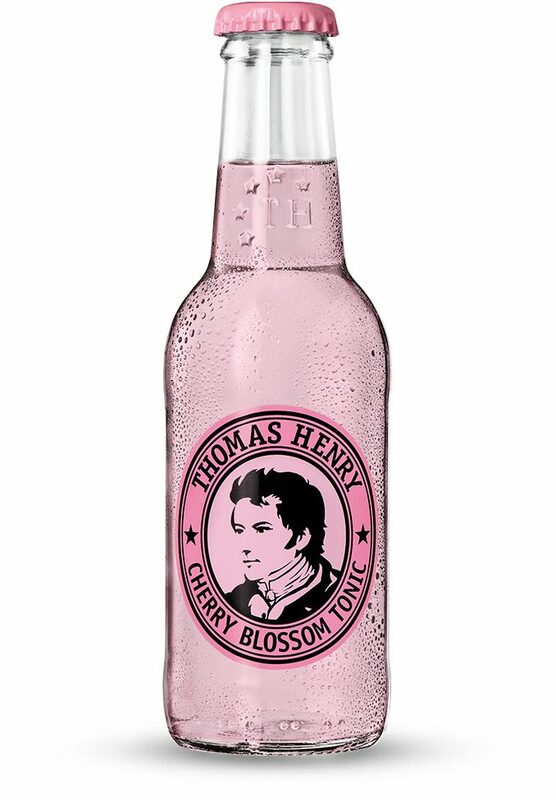 But it actually makes perfect sense: The gentle bitterness that you can taste both in Cold Brew and Tonic Water makes for a perfect basis, which is then complemented by the floral sweetness of our carbonated classic harmonizing with the cold brew’s strong, full-bodied flavour. Coffee in cocktails? What’s new about that? 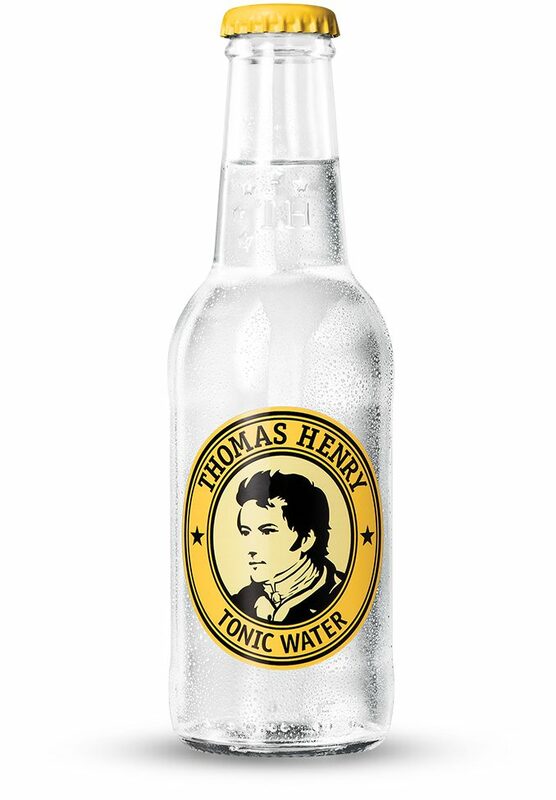 Why drink Thomas Henry Coffee Tonic? Because it’s not just tasty but also ridiculously simple to handle! Bartenders don’t have to brew their own cold brew – they can just use our coffee tonic that’s already made from real cold brew. 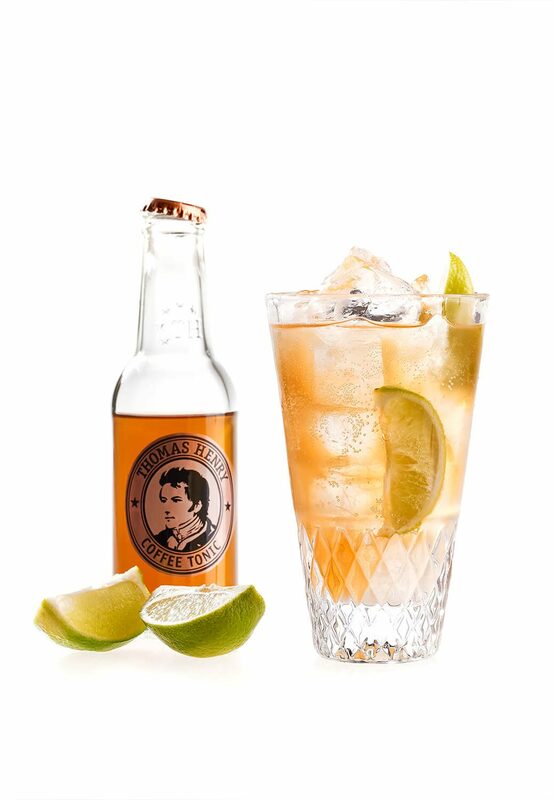 Its wholesome flavour makes it the perfect partner for rum, herbal liquor or bitter spirits – even adding an intense and flavourful note to non-alcoholic drinks. 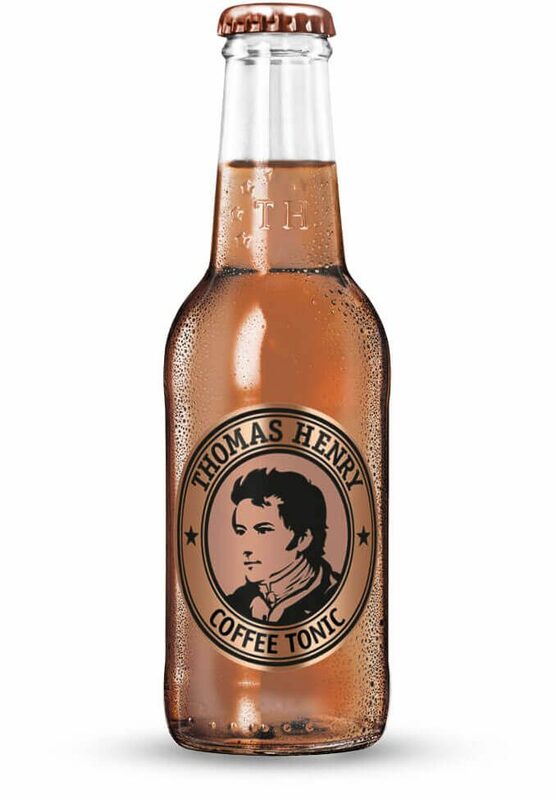 Is Thomas Henry Coffee Tonic a drink in its own right? Of course! 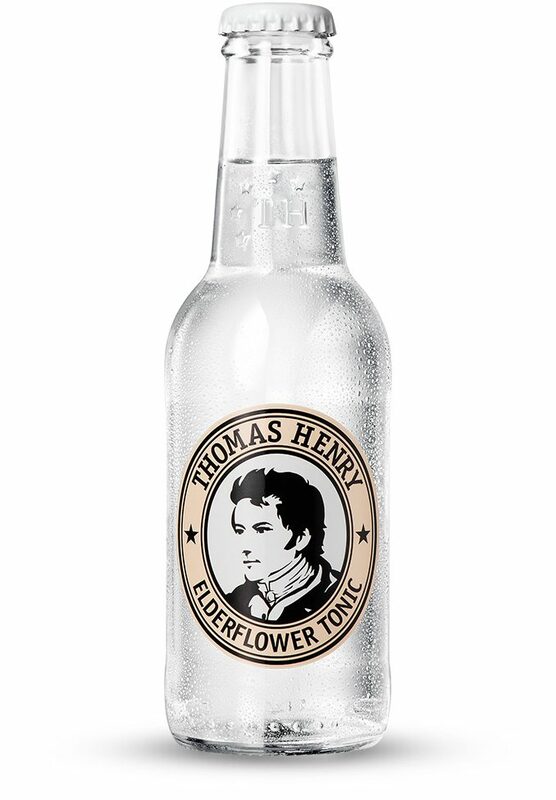 Tonic Water and Cold Brew in one bottle – that’s a standalone drink right there! Serve it on the rocks in a long drink glass for a nonalcoholic treat marking the beginning – or the grand finale – of a legendary night. Sparkling. Lively. 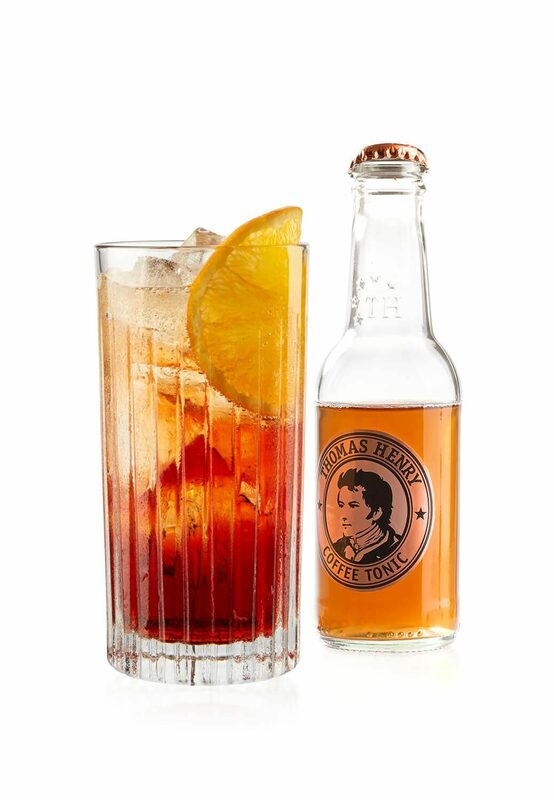 With lively acidity and elegant sweetness, the Coffee Tonic is the perfect serve for bitter aromas. Fruity citrus notes, the unique bitterness and a well-dosed sweetness are in perfect balance.